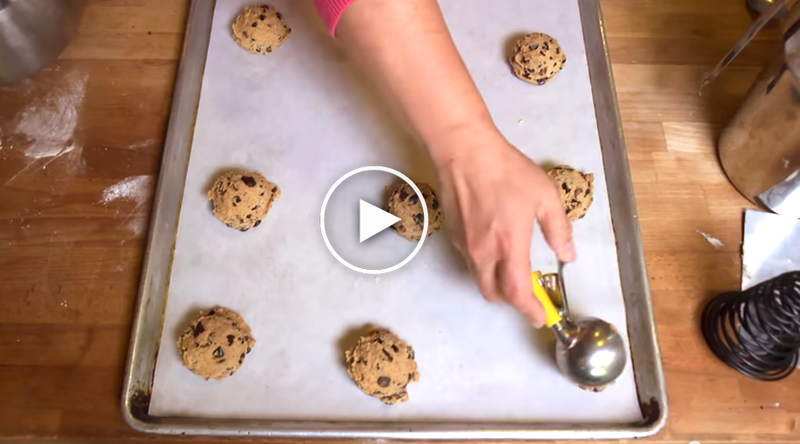 You’ve Been Baking Chocolate Chip Cookies ALL Wrong, And This Video Proves It! Chocolate chips cookies are one of life’s most delicious gifts, but getting that perfect ooey, gooey goodness can sometimes be difficult even for more seasoned bakers. This video, courtesy of Chow, offers an easy-to-follow solution for all your cookie questions. By the end, my mouth was literally watering at the screen. Plus, I never thought of scooping the batter with an ice-cream scoop before, and that alone made this tutorial incredibly helpful. Are these directions you’d follow at home, or do you have a technique that’s closer to your heart? Please SHARE this awesome how-to video with your friends and family!